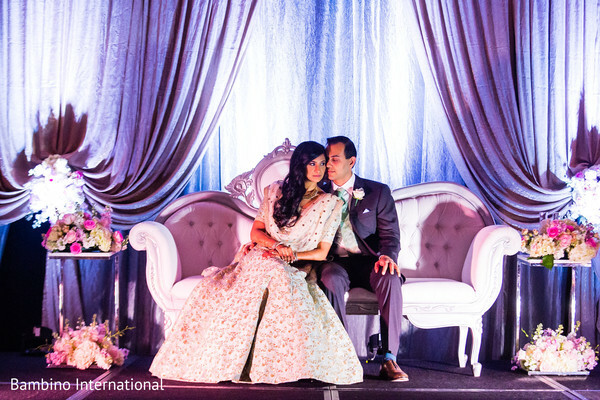 We return to Cincinnati, Ohio to celebrate the union of Anisha and Ashwin at their reception gala which featured tons of Bollywood flair. 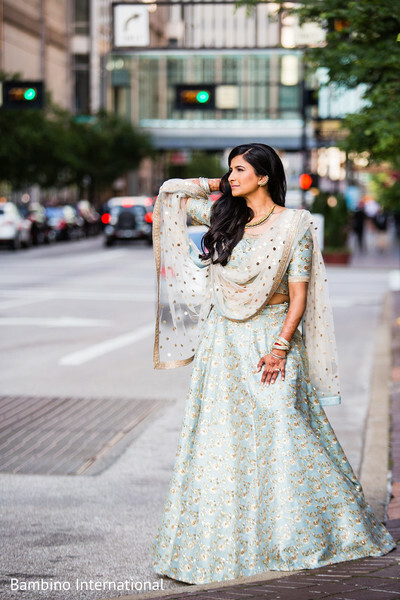 For the event at the Hyatt Regency Cincinnati, the bride chose the ultimate in sartorial luxury: a minty green lehenga designed by the one and only Sabyasachi. 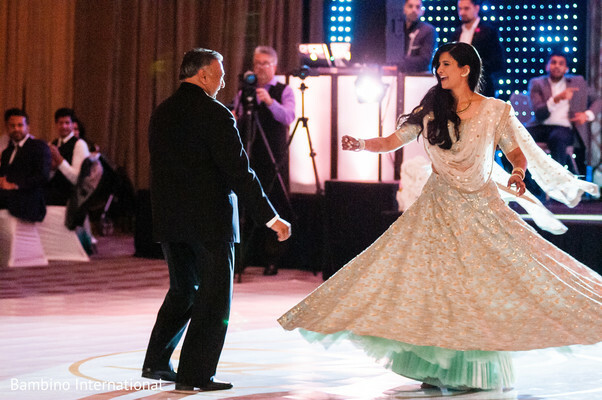 She was an ethereal vision in mint, and we love how this gown gracefully billowed on the dance floor. 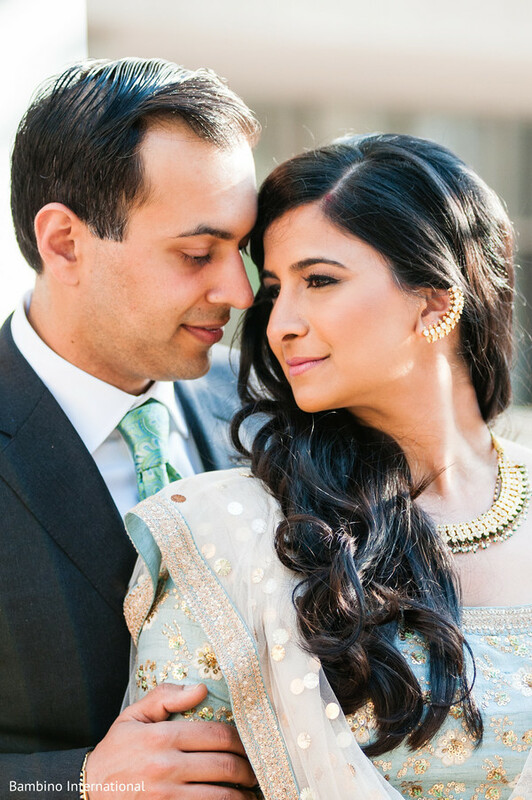 Alongside Anisha was her handsome husband, who looked dapper as ever in a tailored tux with a sea foam green tie. 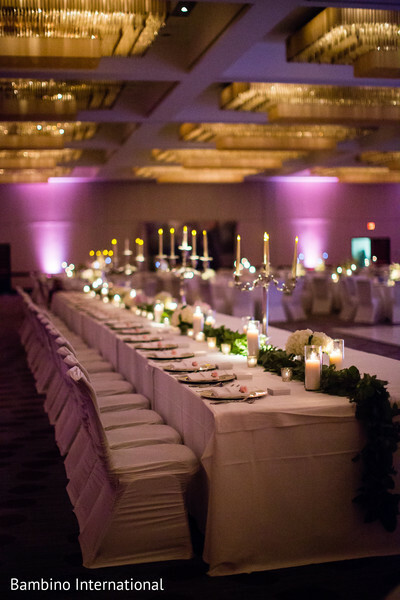 Once again, A Bride's Mafia and Glendale Florist were there to ensure that all the events transitioned seamlessly and were divinely decorated. 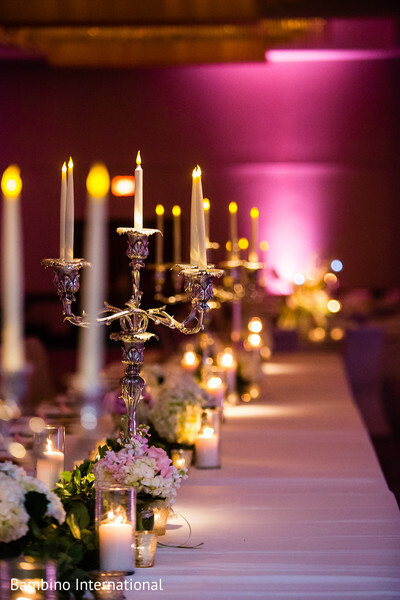 Copious blooms of fresh floral blooms and glimmering taper candles adorned every surface of the spacious quarters. 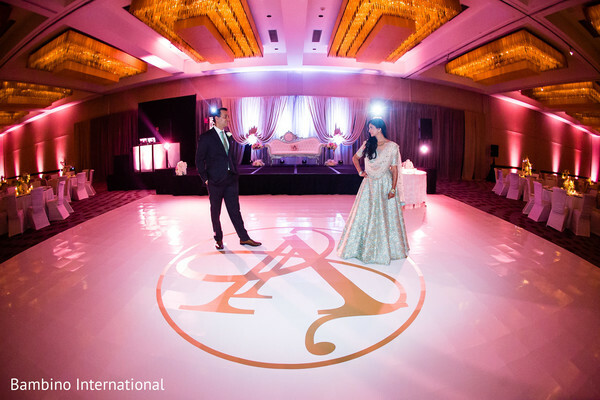 DJ Ice & Fresh Productions lit up the dance floor and venue and provided the musical entertainment; both elements played a big factor in creating the romantic ambiance. And we have to mention the incredibly selfless actions of this altruistic couple. 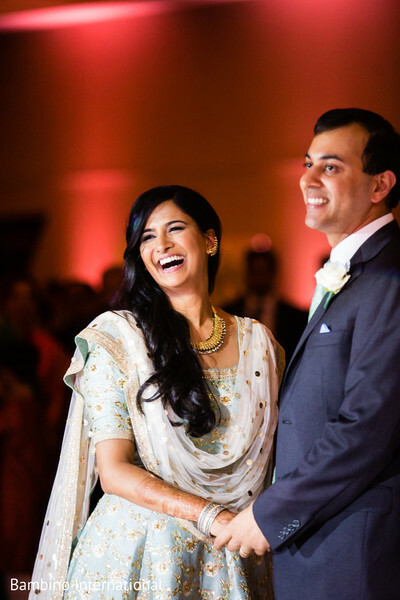 Instead of making the celebration all about them, Anisha and Ashwin decided to use their wedding weekend as an opportunity to give back. 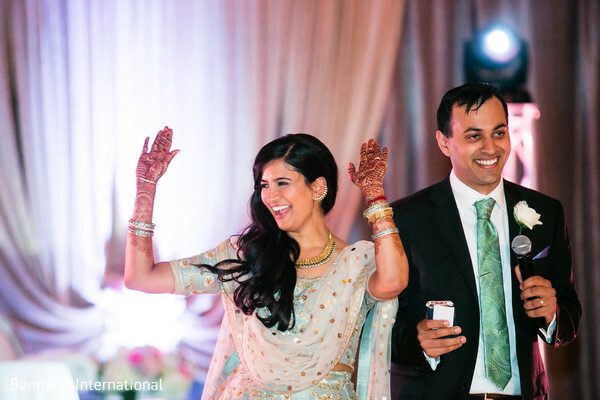 They told us: “We are so fortunate to have the family and friends that we do and we very quickly learned we have enough love and support to last us a lifetime. 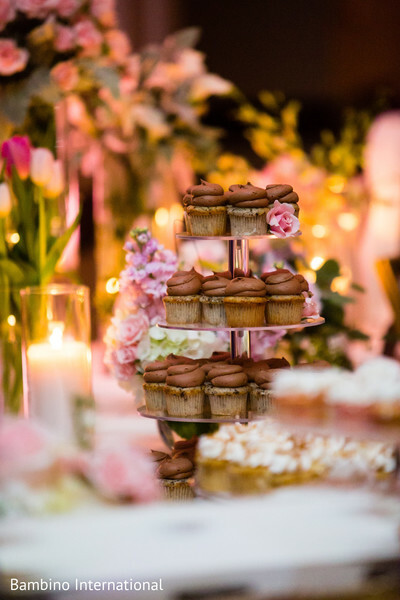 So, in lieu of receiving gifts or gifting tokens to our guests, we asked our guests to donate to 1 of 2 charities (Ashwin's choice - Pratham or Anisha's choice - the American Heart Association). 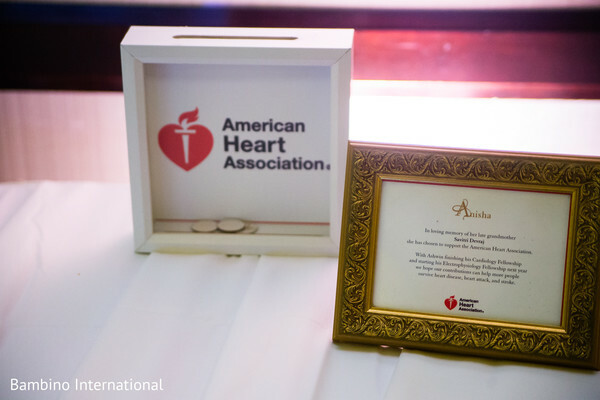 Furthermore, we had some fun at the Reception and asked guests to place a token into a frame at the back of the room to place their vote for 1 of the 2 charities. The "winner" would receive all the additional gifts and a contribution from us. We raised over $20,000 for charity!! 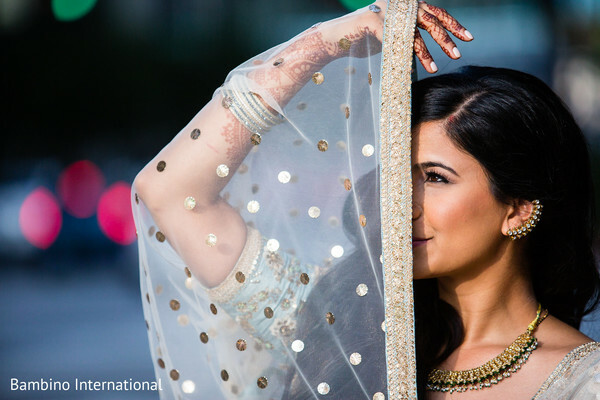 We are bound in humility and enjoy giving back, we hope other brides would be inspired to do similar.” So incredibly inspiring! 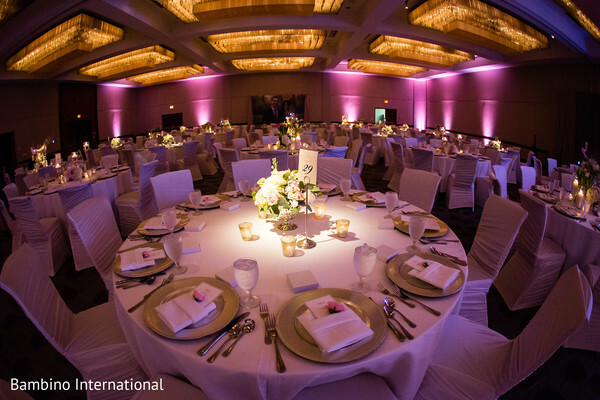 We’re so glad Bambino International was there to capture all the beautiful still shots that you can find in the full gallery. 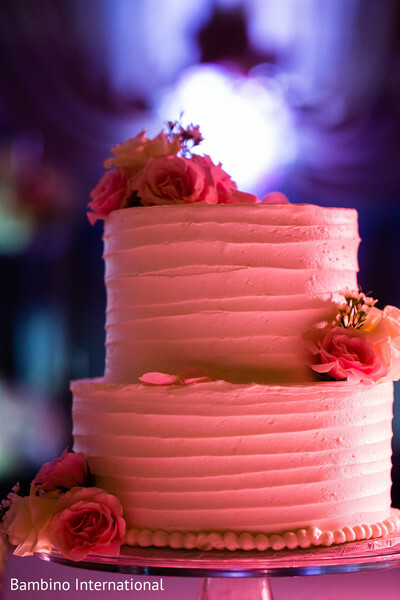 Hope you loved this feature Maharanis!